Review ESL English Vocabulary Related to Body Parts Using this Canon Volley Sea Battle Game. This game is also excellent for classroom teaching. Teachers can engage students in a classroom vocabulary review for elementary ESL, EFL Learners. It can be used to energize a dull class, to review work that was done or simply as a reward for good classroom work. 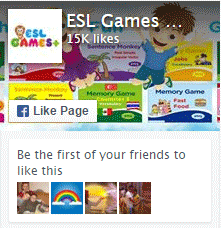 Please do not hesitate to check out other games on this site that will help your lessons become more fun. Body Parts -eyes, ears, head, face, arm, foot, leg, mouth, nose and more. Have fun teaching and learning English!